WhitFest 2017 a big success! Cllr Ashley Pearce helping to run one of the WhitFest stalls. This year’s WhitFest (the arts festival for South Reading) was excellently hosted by the John Madejski academy. There were various stalls for kids and adults to enjoy as usual, with charities such as Age Concern and ABC to read represented as well as local crafts people displaying their works. 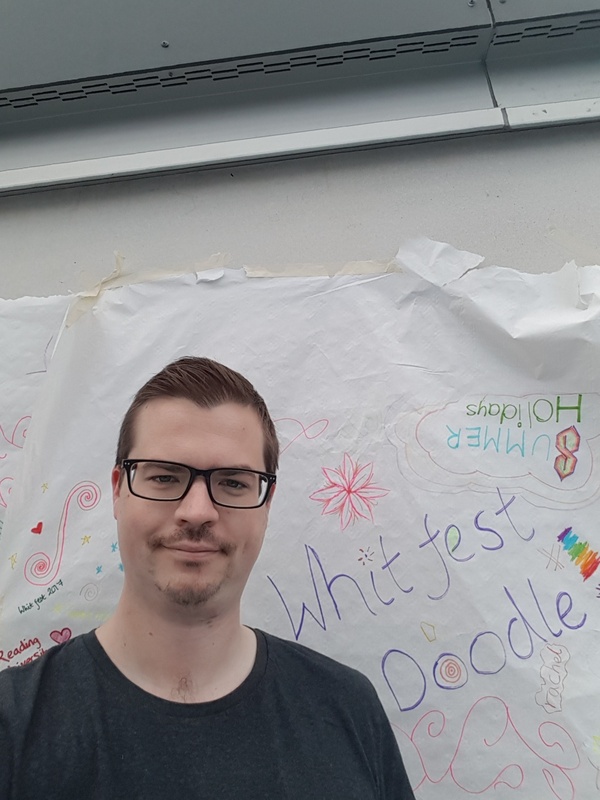 Cllr Pearce and Reading East MP Matt Rodda helped run the WhitFest doodle stall where youngsters were encouraged to write down what Whitley meant to them. The day was topped off with some excellent entertainment in the form of singing and dancing from the JMA students themselves. The event continues to grow every year and I look forward to being involved again next year. This entry was posted in Ward News on July 26, 2017 by Ashley Pearce.